The Kaleidoscope Chamber Orchestra is a conductorless chamber orchestra dedicated to enriching lives through exhilarating concert experiences, artistic excellence, musician leadership, and connecting with the diverse communities of Los Angeles. It performs orchestral music that speaks profoundly to its community and is both representative of its time and timeless, whether written today or centuries ago. The ensemble stretches the boundaries for what is thought possible without a conductor, both by musicians and audiences, to allow all its members to grow through the process. The orchestra regularly collaborates with living composers. 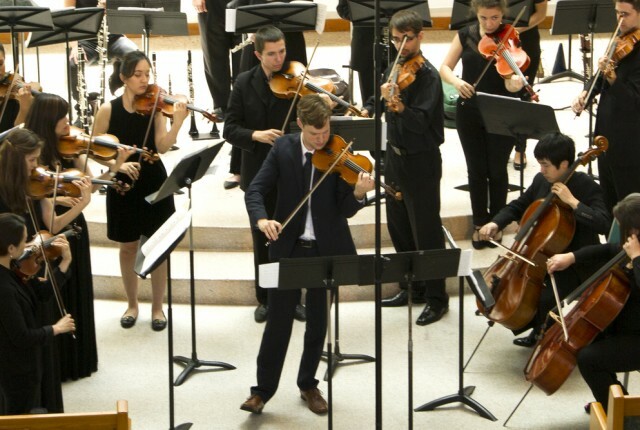 The Kaleidoscope Chamber Orchestra designs programs that explore less conventional concert experiences and allow audiences to feel more personally connected to music and the musicians who perform it.